The Nevada Beer Project was conceived and installed to help unite Nevada’s craft beer industry and beer loving community. The goals are to grow public awareness and build sales with advertising, marketing, and by producing special events. The Nevada Brew Crew was established in 2006 to help support and grow Nevada’s craft beer festival scene by organizing a volunteer staff certified to serve at local events. All crew members are trained and qualified to provide excellent assistance in event production from start to finish. This includes general staffing needs, equipment maintenance and great customer service. The Nevada Brewers Guild was founded in 2009 to help build the community of professional Nevada brewers. The main goals of the “NBG” were to unite our breweries and associates, support the group advertising and legislation efforts, and to create a Nevada state brand to be recognized and promoted nationwide. During this time, many special events and festivals were created and produced which are now held annually. The Brew’s Best Beer Fest at the Village at Lake Las Vegas, and the Springs Preserve Brews and Blues Festival generate hundreds of thousands of dollars for their charities while promoting craft beers and their breweries. In 2013, the NBG was replaced with the Nevada Craft Beer websites (.com /.org) to continue promoting Nevada’s overall craft beer industry, and the Nevada Craft Brewers Association to focus on the breweries recognition and legislation efforts. Nevada Craft Beer (.com) is a directional portal for those searching for information on Nevada’s beer scene. The slideshow layout displays the logos, a brief description, and links to the featured websites. 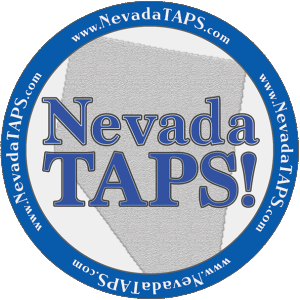 The Nevada Craft Beer (.org) website is a complete resource for Nevada’s entire craft beer community. From the state’s brewing history to a current events calendar, find information, logos and links to all the breweries, brew pubs, beer bars, restaurants and retail locations. A live interactive feed delivers the latest announcements for the Las Vegas and Reno areas. Find great beer while you’re here! For our locals, (and many visitors) the Nevada Beer Lovers club was formed in 2007 to provide calendar coordination, and to publicize craft beer events and festivals produced in the state. The “NBL” website lists the large annual festivals built for 500 attendees or more. For all the smaller events, we have monthly club calendars for the Las Vegas and Reno areas. Members of the mailing list receive e-mail invites for all the tapping parties, beer dinners, tastings and many other special events featuring craft beer ~ Join today! 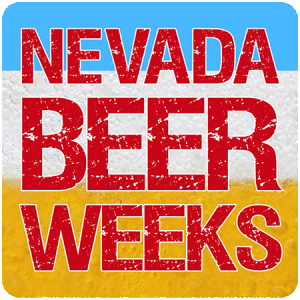 The “NBW” celebration provides the beer loving public an opportunity to enjoy many additional special events at the brew pubs, beer bars, restaurants and retail locations, in addition to the breweries, that support Nevada’s growing craft beer scene. All events are individually produced so each business controls and hosts their events. The website is designed for event hosts to post unique listings, while benefiting from the overall advertising efforts. Common goals are to promote local locations, expand the customer base, increase profits, and to feature great craft beers!